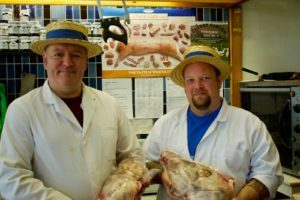 It isn’t just meat we sell. We stock a wide range of delicious sauces too. All you need to do is pour it over your lovely food and put it in the oven or stir it into the food sizzling away in your frying pan. We’re particularly fond of the curry sauces. Our favourites are the Balti and Jalfrezi ones. Try them with chicken or lamb. Shepherd’s Pie can be notoriously bland (don’t tell our mums that though!) but just wait till you try the Shepherd’s Pie Cooking Sauce; it’s extremely tasty. Looking for inspiration for those bangers you just bought? How about a nice sausage casserole? Very traditional and very tasty. 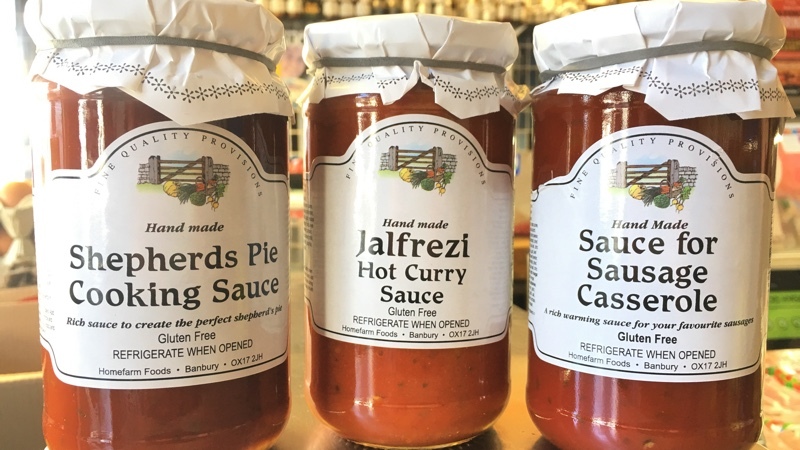 Our sauces come from a small family run business in Banbury so you can rest assured that it’s quality and doesn’t contain any unnecessary ingredients. So, if you don’t want to make your own sauce or just fancy something a bit different, grab a jar (or two) from the shop when you next buy your meat and give it a whirl. We’ve got plenty of sauces to choose from. Pop in and take a look. You’ll be serving up a tasty dish in no time.